For most Indian comic enthusiasts, Harsho Mohan Chattoraj is no unknown artist. Best known for his work on the Hyderabad Graphic Novel, his work has been seen in Amar Chitra Katha, comics from Starmark and several international publications in Australia as well as America. 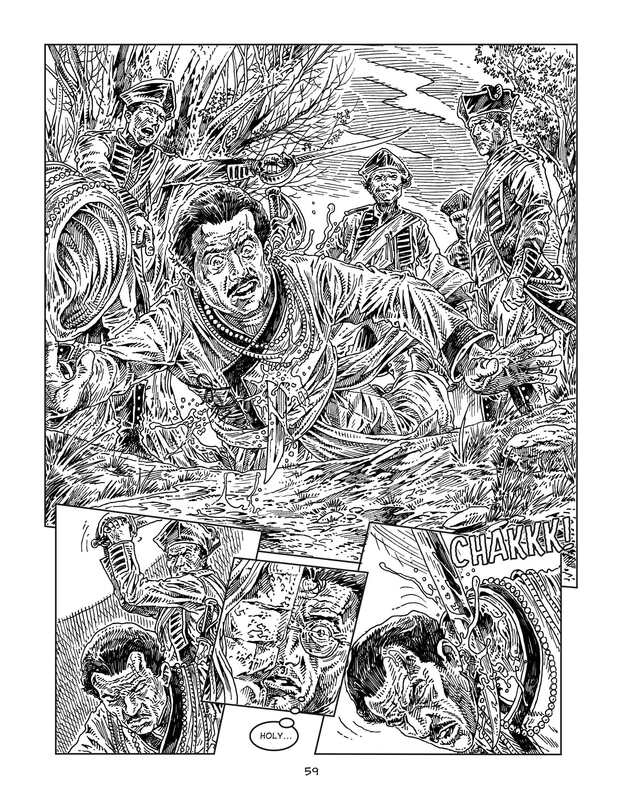 His comic, The Twelve, has been a part of the Eisner nominated anthology, Negative Burn and last year, he made a graphic novel for the film Charlie in Cochin. But what people don’t know about is the fact that Chattoraj had started creating comics rather early on in life. When he was 11, he would draw comics influenced by WWE and films for his classmates in exchange of a bottle of Pepsi! And indeed, the graphic novelist has come a long way from scribbling at the backs of notebooks. His latest release, much like his previous one, Kolkata Kaleidoscope, is also set in Kolkata. 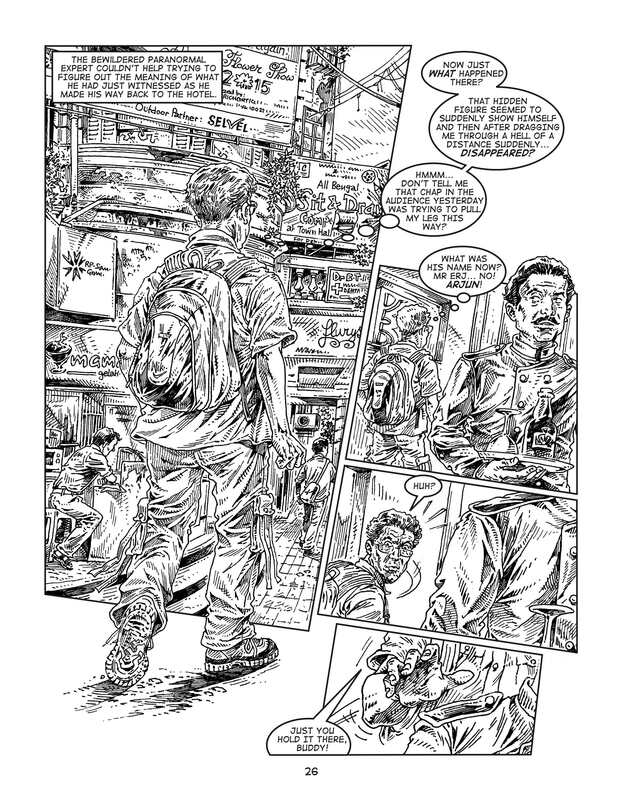 But unlike his previous graphic novel, this is not merely a tour through the popular sights and sounds of the city. The Ghosts of the Kingdoms Past, is a fascinating journey through the some facts and fiction that lace the history of Calcutta. When famous Bristish paranormal expert, Sir Alec Morgan, is in Kolkata to launch his new book, he goes on a tour of the city’s most haunted places. And though the stories he hears from his guide, Joga, are ghastly and tragic, he is disappointed at the lack of ghosts in the city. But of course, the City of Joy is not going to let him leave without a good taste of the supernatural! The process of creating a comic is not an easy one. Especially one where research is involved. So how did Chattoraj go about it? “The first step for this is always finding out the material for the script and reference images for the artwork, and there are three ways to do this,” he begins “Explore the city and its many interesting places, check with all sorts of people – friends and relatives – about their thoughts, and happily enough nowadays, check online for as much help as possible to find out information related to the story- in this case, the ‘haunted places’ in Kolkata,” he continues. “I was ready with the script in place and reference images all ready to start off the artwork very quickly. For each page, the artwork is followed by proper page layouts, the main artwork, insertion of the dialogue blurbs and sound effects. 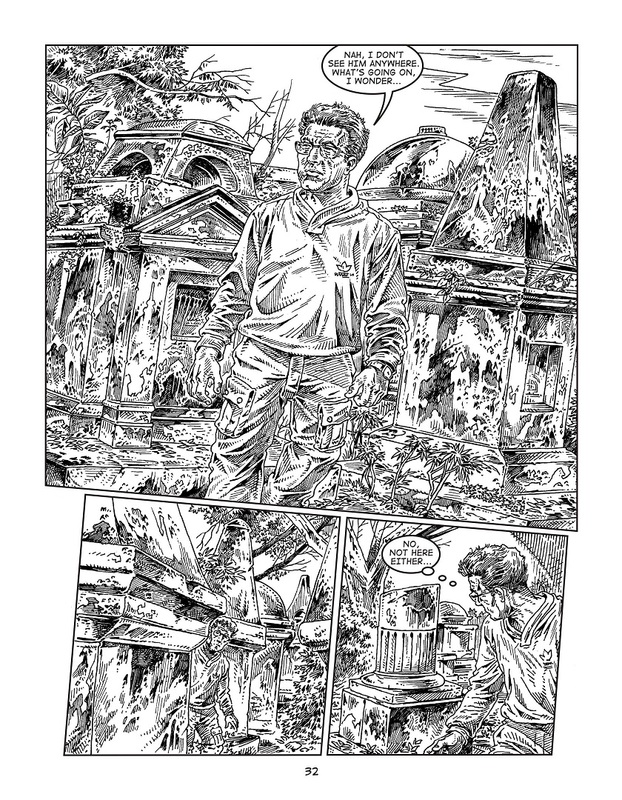 At times, during the drawing phase, when the page layout doesn’t look right to us, we have to start from scratch on a page, to make sure the final page – with the art and text – looks good and sensible,” he concludes. 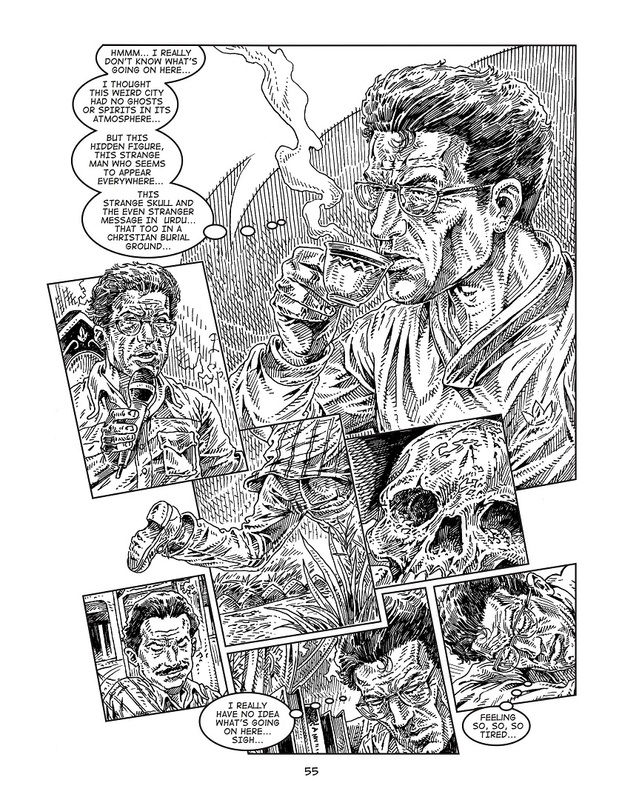 At 70 pages, this graphic novel is an intense visual trip to be honest. Chattoraj’s work has always been renowned for its trademark intricacies, but in this book, it seems overwhelming in some panels. With so much of detail to explore, the book would have been less overwhelming had there been no words to guide the reader. After all, Chattoraj is a brilliant visual storyteller and including text for such a detailed visual narrative only makes it seem rather overdone.